From May 15 to June 19, 2011, at Kim? 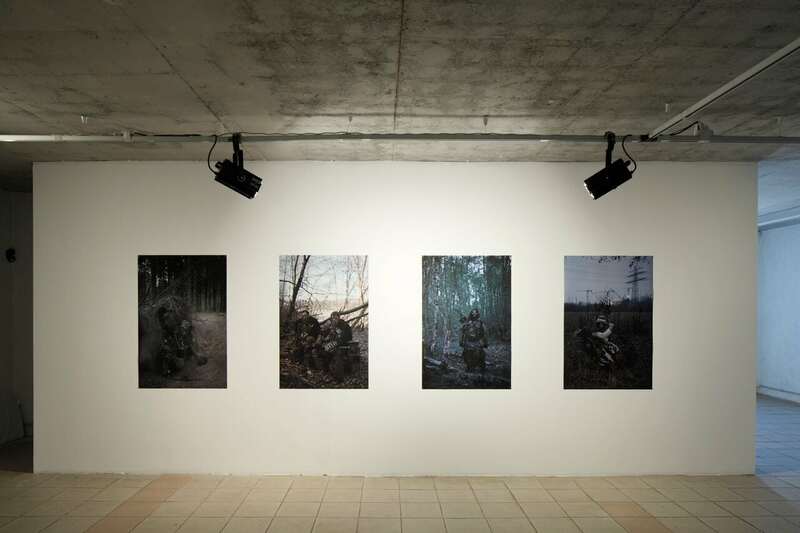 exhibition by a photographer Reinis Hofmanis – “LARP” (Live Action Role Playing) – was held. In his newest series the artist portrays different characters of live action role players. 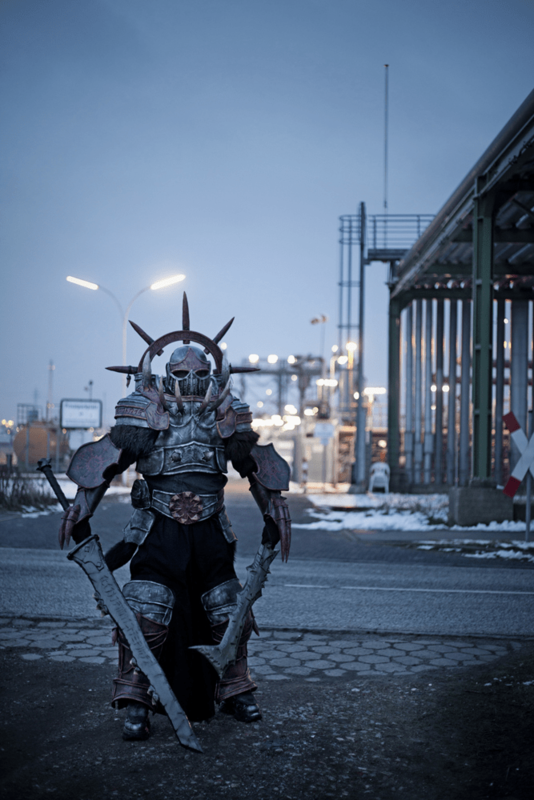 Live action role playing games show the world that has been created under the impact of mass culture. Such elements of pop culture as film, book and computer game characters become someone’s new identity. Everyday life is changed into a parallel world – the world of fantasy, where future, past and present are not separated. Everything that does not seem possible in the real world is possible in a game. Office man, student, director of a hospital, nurse, militarist, jewelery trader, teacher becomes a sorcerer, ork, zombie, troll, elf, moss man or goblin. Dreams and desire to be a hero are realized and enacted. 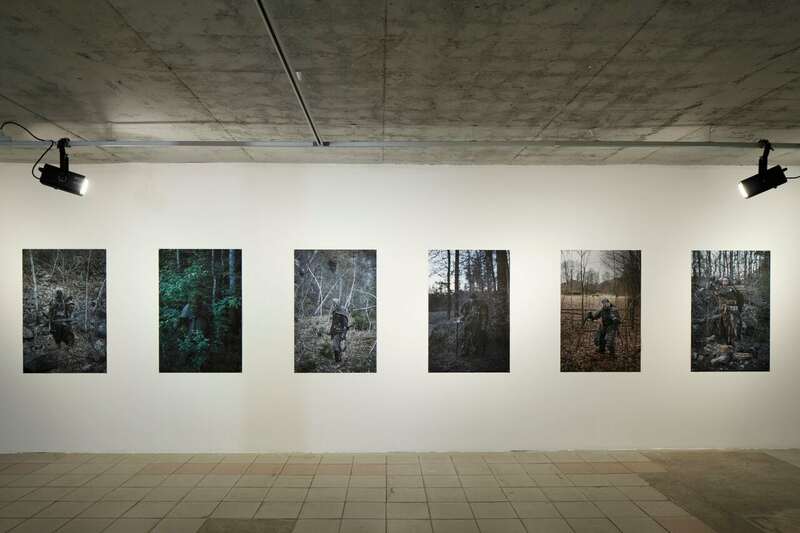 The artist, whose work is often characterized by delicate balance between documental photo and staging, in the series “LARP” portrays his heroes outside the game context. Thus the space around them works as an interspace which creates a natural distance between these characters and the viewer. That is to be destroyed in the moment of eye contact. The author, taking photographs and exploring live action role players, questions: Is a mask just a mask or is it a part of person’s identity – a side of identity which can not be realized otherwise? What makes an office worker to take a huge axe and move deep in the bush? Why someone chooses to be an ork not a knight or some elf? Is a fantasy world separable from the real world? Reinis Hofmanis (1985) has graduated from the Art Academy of Latvia, Department of Visual Communication and has studied at Hannover University of Applied Sciences and Arts. Participates in exhibitions since 2003.